Prototypo allows you to create your own font in just a few clicks (and slides)! Ruben Malayan is an award-winning artist, photographer, art director and visual effects supervisor, Ruben has been working in broadcast and cinema for over ten years, realizing creative projects in Armenia, Israel, The Netherlands, Canada and India. He holds degrees from Terlemezian Art College (painting) & from the State Institute of Fine Arts (graphics) in Yerevan, Armenia. Exhibits art locally and abroad. Ruben published a book 'The Art of Armenian Calligraphy / L'Art Calligraphique Armènienne' which focuses on the evolution of the calligraphic tradition as an independent art form. 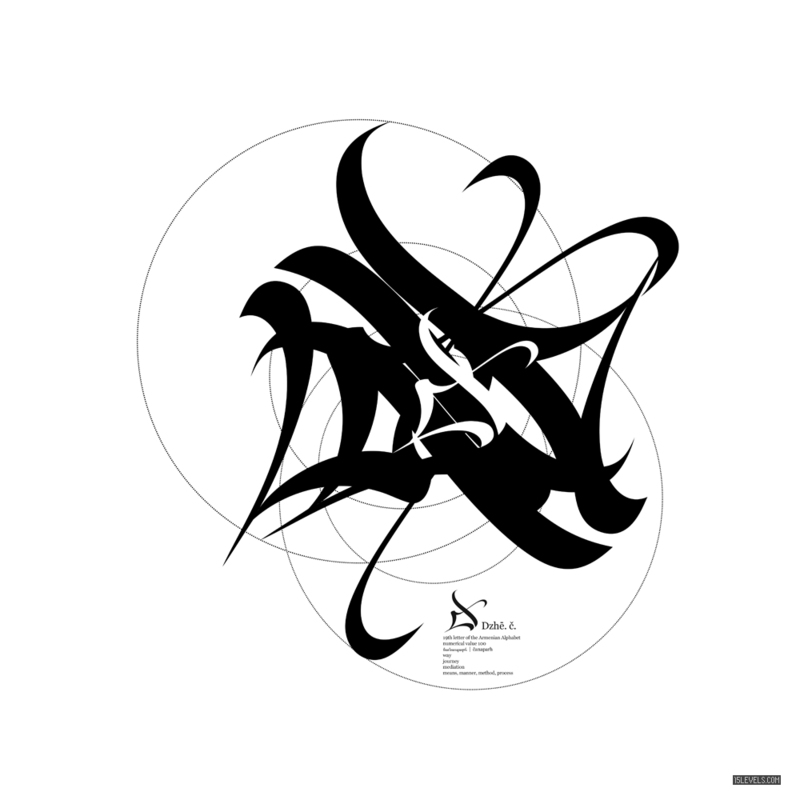 The document is designed to serve as a source of reference and inspiration to anyone interested inexamples of contemporary calligraphic work. In the book Ruben discusses some of the historical, production and cultural narrative around Armanian scripts, letterform proportion and the classification of writing systems in great detail... "Armenian script styles are neither neat nor clean cut. The use of one type with another is common." Ruben outlines the various calligraphic characteristics found in Armenian texts as, Erkata'gir (Երկատագիր) The script is monumental by style, majuscule, the letters are large, very erect, with gracefully rounded lines connecting the vertical elements of the letters or springing from them. All the letters of the Erkata'gir script were written on the base line between two imaginary parallel lines, with ascending and descending elements being only slightly extended with the exception of two letters whose elements extend more drastically. The Bolor'gir (Բոլորգիր) script developed more elegant and graphic forms and although by its definition a round script, the characters are slanted and letters appear to have sharp corners. The contrast between the base shape and the connecting strokes is not as extreme as in Erkata'gir, and it is a more cursive type of script (characters are placed closer to one another), with smaller sizes and altered shapes. Sła'gir (Շխագիր) cursive script is rarely seen in manuscripts and was used mainly for notes. Executed with reed pens, its main characteristic was that it possessed an equal width of all elements. In general, the shape of the letters recalls that of an irregular Bolor'gir, although some elements of Straight Erkata'gir are in evidence as well. This became the basis for contemporary hand-written scripts in Armenia. Notr'gir (Նոտրագիր) notary script is a blend of Bolor'gir and Sła'gir with predominant small and cursive forms. It was used in the seventeenth and eighteenth centuries. You can learn more about 'The Art of Armenian Calligraphy' here. Newer:Breaking the Ice a solo show from talented calligrapher & designer Maria MontesOlder:Prototypo allows you to create your own font in just a few clicks (and slides)!